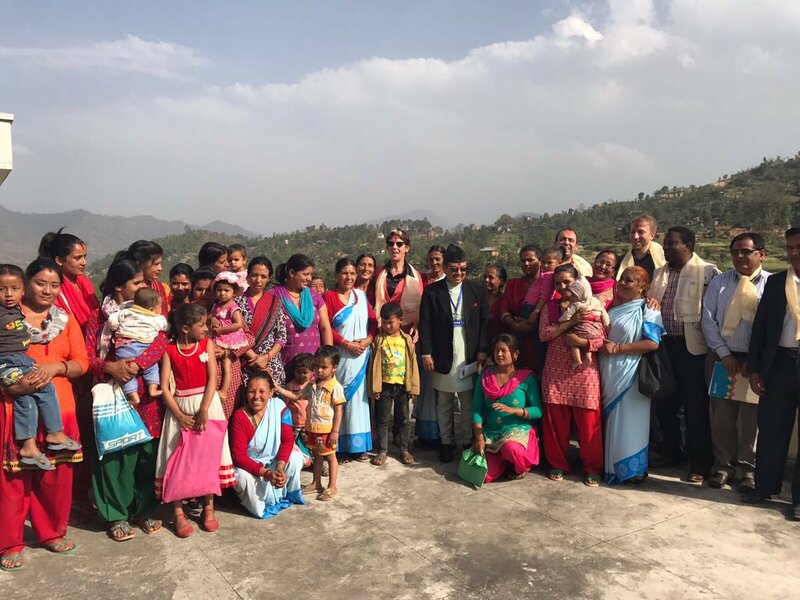 From 5-7 April 2017, various nutrition champions across Nepal came together to engage on nutrition during a visit from SUN Movement Coordinator and UN Assistant Secretary-General, Gerda Verburg. The visit began with an engaging introduction to the nutrition situation in Nepal from Civil Society Alliance Nutrition, Nepal (CSANN). The Coordinator was supported throughout the visit with thanks to Prof. Dr. Geeta Bhakta Joshi, honorable member of the NPC and Radhakrishna Pradhan, Joint Secretary of the NPC who is also the SUN Government Focal Point. The visit was enriched with a meeting with Prime Minister Pushpa Kamal Dahal, a meeting with Vice-Chairperson of the National Planning Commission Dr Min Bahadur Shrestha as well as meetings with the Health Ministry, with UN and donor partners and a field visit to meet community health workers. Prime Minister Dahal briefed Verburg about the nutrition situation in the country and improvements seen in the country through initiatives carried out in the coordination of private sector and donor organisations. Dahal said that there would be much improvement in development status of the country after the local level elections, which would establish women leadership from the base. This visit formed part of Ms. Verburg’s sub-regional mission to countries in South Asia throughout March and April 2017 across SUN Countries Bangladesh, Nepal and Pakistan. The visits coincided with the 136th Inter-Parliamentary Union General Assembly, where she was a key speaker.